Background: It was previously shown that the activity of a serine protease from a moderately halotolerant Bacillus aquimaris VITP4 strain is active in a wide range of pH and temperatures and could be modulated by the presence of the divalent metal ions. Objectives: In the present study, a quantitative analysis was done in order to explore the parameters that are contributing to the protease activity. Materials and Methods: Changes in the secondary structure of the enzyme was determined by circular dichroism analysis. The conditions for the optimal activity was investigated by Response Surface Methodology. Stability of the enzyme was determined by thermal inactivation experiments. Results: The initial one-factor-at-a-time experiments have indicated that the activity of the enzyme could be enhanced not only by the presence of low concentrations of NaCl but also by divalent metal ions, such as Ca2+, Mn2+ and Cu2+. A clear dependence of the activity to the secondary structure of the enzyme could be established using circular dichroism spectroscopy. In the next level of optimization, four factors; viz. pH, temperature, concentration of Ca2+, and Mn2+ were used to optimize the conditions required for the maximal activity of the enzyme by Response Surface Methodology, and the data could be explained using quadratic model. Under optimal condition of 43°C, pH 8.0, 8.2 mM Ca2+, and 4.3 mM Mn2+ a 1.5 times enhancement in the enzyme activity could be achieved. The storage stability of the enzyme under these selected conditions has indicated a non-linear relation between the conditions for the enzymatic activity as well as stability. However, the condition for the maximal stability (267±18 min) has corresponded to that of the optimal conditions for the maximal activity. Conclusions: This study, for the first time, has explored the possibility of using statistical methods for identifying the optimal conditions for alkaline protease activity isolated from the halotolerant Bacillus aquimaris VITP4. A great deal of efforts is focused on meeting the increasing demand for novel microbial catalysts that are capable of functioning under extreme conditions, and therefore, the production of these novel microbial enzymes with appreciable activity and stability in the harsh environments (1). Enzymes from organisms which can grow in 0-15% of the NaCl will have great potential for the use in the industries because of their inherent ability to be active and stable both in the presence as well as in the absence of salt. However, most of these enzymes require metal ions for the maintenance of the structure and/or stability (2). These enzymes are active and stable under conditions that cause in a lower activity, which include high salt concentrations or organic solvents (3). In most of the cases, measurable proteolytic activity is achieved upon supplementation of cofactors like divalent metal ions in the assaying buffer. Also loss of enzymatic activity can be restored by incubating the enzyme with excess metal ions (4). Proteases hold a large potential for application in the food, dairy industries, detergent, and leather industries due to the increasing trend to develop environmentally friendly technologies (5). Study of the enzyme conformation using far UV circular dichroism (CD) and activity measurement as a function of pH, metal ions, and other additives will help us in establishing the structure-function relationship of the enzymes (6). With proteases gaining considerable importance in the industrial market, efforts on optimizing enzyme activity has been focused with the use of different statistical software packages (7). Response surface methodology (RSM) is a collection of mathematical and statistical techniques useful for the modeling and analysis of the problems in which a response of interest is influenced by several variables. This methodology is finding its application in bioenergy, food, in addition to pharmaceutical researches (8, 9). In spite of the unique potential of the halotolerant enzymes, very little information is available in the literature to exploit the applicability of these enzymes in the industrial processes. In this regard, we have been focusing our attention to evaluate the utility of the halotolerant microbes and its metabolites. In our previous studies (10-12), we have reported the production of an extracellular protease by a halotolerant Bacillus aquimaris strain isolated from a saltern region of the Kumta coast (Karnataka, India). The serine protease produced by this organism was found to be active under a broader range of pH and temperature values, and also in the presence of the moderate salt concentrations (10, 11). Moreover, the enzyme has a predominant b-sheet secondary structure and was also shown to be tolerant to commercial detergents. The activity of the enzyme could also be enhanced in presence of Ca2+ ions. Uniquely, the enzyme could also be activated by the presence of Mn2+ and Cu2+ ions (12). Protease activation by Mn2+ ions is not commonly reported in the literature. The role of these divalent metal ions and their contribution to the overall activity of the enzyme needs to be explored. With this in view, the present study deals with optimization of the conditions, required for this metal ion activated serine protease from the halotolerant Bacillus aquimaris, for maximal activity. In addition, the effect of these combined parameters on the storage stability of the enzyme was also investigated. Enzymes from extremophiles have given us a scope to expand the reaction conditions and to meet growing industrial demands. The present study for the first time has used the statistical optimization protocols for achieving conditions required for the maximal activity of the enzyme and evaluation of the shelf life under different conditions. Enzymes from extremophiles have given us a scope to expand the reaction conditions and to meet growing industrial demands. The present study for the first time has used the statistical optimization protocols for achieving conditions required for the maximal activity of the enzyme and evaluation of the shelf life under different conditions. Media components were obtained from Hi-Media (Bombay, India). Graphs were plotted using the Graphpad Prism (version 5.0) and Design Expert Software (Trial version 9.0.2.0, Stat-Ease, Inc., Minneapolis, MN). Circular dichroism data were analyzed using Yang et al., 1986 (13). Protease activity was measured using caseinolytic assay (14). Purification of the enzyme was done as described in our earlier studies (12) as a two step process. In short, the protein was precipitated with ammonium sulfate, followed by fractionation using gel filtration chromatography. The presence of the metal ions (Mn2+, Ca2+ and Cu2+) in the protein solution was determined by ICP-AES (ARCOS, M/s. Spectro, Germany). Sample preparation involved extensive dialysis (membrane cutoff 10 kDa) against deionised water, followed by centrifugation at 8000 g for 5 min to remove any particulate matters. Metal ion depleted protease was prepared by extensive dialysis of the enzyme solution against 50mM Tris (pH 8.0) buffer containing 1 mM EDTA for 6 h at 4°C. The process was repeated three times by changing the buffer solution every one hour. CD spectra were recorded in a Jasco-J715 spectropolarimeter at room temperature (25°C) using a 1 cm path length cell in the wavelength range of 190-260 nm. Each spectrum represented an average of five repetitive scans. Appropriate base line and blank subtractions were performed prior to analysis. The CD spectra of the protease under different environmental conditions were recorded in 10 mM Tris buffer (pH 8.0) in the presence of the appropriate additives. Results are expressed as the mean residue ellipticity (q, degree cm-1 M-1). Preliminary information on the effect of metal ions was obtained by one-factor-at-a-time methodology. The important factors were screened among Temperature, pH, CaCl2, MnCl2, CuCl2, and NaCl by Plackett-Burman (PB) factorial design and further optimization was done using central composite design (CCD) (15,16). Fractional design was used at 2 levels to screen multiple factors to find the significant ones and effects of all interactions were estimated using full factorial. Temperature, pH, CaCl2, MnCl2, CuCl2, and NaCl were selected to infer the most important factors that affect the enzyme activity. The response value given in these experiments was an average of the triplicate measurements and the results were analyzed and interpreted using the Design Expert Software (Trial version 9.0.2.0, Stat-Ease, Inc., Minneapolis, MN). The screened variables influencing enzyme activity were further optimized using Central composite design (CCD). CCD estimates the quadratic response surface from which factor levels for the maximum hydrolytic activity could be determined. With the central composite design, the second order polynomial relationship between the factors and the dependent variables established, gives an idea about the interaction between variables (17). In this equation Y is the response factor, i and j indicated coded factors of the system and Xi and Xj representing the independent coded variables. bo, is the interception coefficient and bi bii and bij are coefficients of linear, quadratic and interaction effects. The Design Expert version 9.0.2.0 (Stat-Ease Inc., Minneapolis, USA) statistic software program was used to calculate the regression and graphical analysis of the obtained data and their significance was verified using analysis of variance (ANOVA). Through validation, the efficiency of the model was evaluated by comparing the predicted results with the experimental data. The model was validated under optimum conditions and the quality of fit of the second order equation was expressed as the coefficient of determination R2 (2, 7, 18). Quantification of the enzyme bound metal ion was performed using inductive coupled plasma atomic emission spectrometry (ICP-AES). The enzyme was found to contain 1.04 mol Ca2+, 0.5 mol of Cu2+ and 0.126 mol of Mn2+ (per mole of enzyme). This indicates that the protease has preference for Ca2+ and could accommodate Mn2+ as well. In order to get further insight on the role of these metal ions on the enzyme activity, the enzyme activity was assayed after incubating the metal ion depleted enzyme in the presence of these metal ions, either individually or as a linear combination of these ions. The protein dialyzed against 10 mM Tris buffer (pH 8.0) containing 1mM EDTA resulted in a loss of 88% of activity. However, addition of Mn2+ and Ca2+, either individually or in combination, was found to restore the activity of the enzyme (Table 1). Addition of Cu2+ did not improve the activity, even though the presence of low concentrations of the Cu2+ could enhance the enzyme activity (12). This reflects the differential role of the metal ions played in restoring the enzyme activity. Similar metal ion dependent activity was observed with endopeptidase of Bacillus cereus JH108 wherein the loss of activity upon exposure to EDTA was completely restored by addition of 1mM Ca2+ and partially restored by Co2+ and Mn2+ (4). Earlier reports support the fact that Ca2+ plays an important role in protecting the enzyme from auto proteolysis. Also depletion of Ca2+ lowers the specific activity and the thermal stability of the enzyme (22). In order to draw a correlation between the observed activity and the secondary structure content of the enzyme, circular dichroism spectra were recorded in the far UV region (200-250 nm). The b-sheet content in the enzyme was found to be different in the presence of the metal ions/inhibitors (Table 2). Irrespective of the metal ion used, the observed changes in the structure reflected in the enhancement or reduction in the enzymatic activity. The presence of inhibitors reduced the b-sheet content and also the proteolytic activity. Similar observations were reported for B. cereus SIU1 serine protease in which the decrease in the b-sheet content was correlated to decrease in the enzyme activity (6). High b-sheet content was reported for serine protease isolated from halophilic Virgibacillus and the b-sheet content was reduced in the absence of NaCl which in turn resulted in a poor activity (23). It should be pointed out that the secondary structure of the enzyme and the activity was found to be unaffected even after prolonged storage for 12 months at 4°C. However, extensive dialysis against 10 mM Tris buffer with 5 mM EDTA resulted in complete loss of b-sheet structure and therefore loss of activity, thus indicating the requirement of the metal ions for activity and storage stability of the enzyme. Based on the preliminary results, a screening experiment using Plackett Burman design was employed to identify factors (i.e. temperature, pH, CaCl2, MnCl2, CuCl2, and NaCl) that affect the enzyme activity significantly. A total of 8 runs were used to evaluate 6 variables which were tested at two levels. From the Pareto chart (Figure 1), the most effective factors with high significance for proteolytic activity were pH, Temperature, concentration of CaCl2, and MnCl2. The significance of each term was determined using p values and values of ‘Prob > F’ less than 0.0500 indicates that the model terms are significant. The F-value of 285.44 implies the model is significant. There is only a 4.53% chance that an F-value this large could occur due to noise. The Pred R-Square of 0.96 is in reasonable agreement with the Adj R-Squared of 0.99. Adequate precision ratio of 49.57 indicates an adequate signal. Based on the Plackett Burman design, temperature, pH, concentration of CaCl2, and MnCl2 were chosen for further optimization by RSM. Central composite design (CCD) was employed within a specified range to check the combined effect of these factors on protease activity; the results of which are given in (Table 3). In order to determine if a relationship existed between the factors and the response investigated, the collected data were analyzed statistically using regression analysis, which showed that the selected quadratic model was appropriate to describe the system. Consequently the following second order polynomial model was proposed. In the above equation the variables A, B, C, and D represents the coded levels of temperature, pH, CaCl2, MnCl2, respectively. The association between response (proteolytic activity) of the predicted and experimental data under these conditions is shown in (Table 3). The accuracy of the model was validated by the analysis of variance, using high F value (10.43) which implies the model is significant and there is only a 0.01% chance that an F-value this large could occur due to noise, very low P value (<0.0001), and a regression coefficient (R2=0.9068). Probability value less than 0.0500 indicates the model terms are significant. In this case, A, B, C, D, A2, A2, C2 are the significant model terms. The “Lack of Fit F-value” of 56.35 implies the significance. The signal to noise ratio of 10.2 indicates an adequate signal. This model can be used to navigate the design space and can be used for prediction of the protease activity under the desired conditions. The 3D surface plots developed from the regression model were used to predict the influence of different variables on protease activity. Through surface plots, it is evident that the interaction among variables has influenced the protease activity. The surface plots in (Figure 2A) shows the interaction between pH and temperature keeping the other two variables at constant and appears to have a single optimum point. The non-linear nature of the surface implies that the interactions between the selected variables are important. As well, it also indicates that an increase in the temperature has enhanced the activity at low pH level, but when the temperature has increased, this effect was found to decrease. The interaction between pH and temperature could be inferred from the response along the axis. The predicted protease activity (87 U.mL-1) was obtained at the central point of A (52°C) and B (8.0), respectively. The combined effect of CaCl2 and temperature on protease activity can be depicted from (Figure 2B). The maximum protease activity (90.3 U.mL-1) was observed at 51°C and 6.8 mM CaCl2 through response surface plot analysis. Increased concentration of CaCl2 has resulted in a significant positive effect on protease activity at low temperature, but a reduction in the activity was observed as the concentration of CaCl2 was further increased. Though the surface plots have considerable curvature, the corresponding p-values indicate that the interaction between these two parameters is not statistically significant. Figure 2C represents the responses obtained from the interaction of MnCl2 and temperature. It can be inferred that increase in the temperature has improved the activity at low levels of MnCl2, however, with further increase in the concentration of MnCl2 a reduction in the activity could be observed. This could imply that these metal ions could impose a stabilizing effect on the enzyme. Our previous studies have indicated that the enzymatic activity of this protease was completely inhibited by PMSF and not by any of the metal ion chelating agents (12), thereby confirming that these metal ions plays a stabilizing role, and are not directly involved in the enzymatic activity. However, decrease in the enzyme activity upon a further increase in the metal ion concentration could be due to an increased ionic strength in the medium which might be detrimental to either the enzyme structure or substrate binding. The curves also suggest that an increased concentration of MnCl2 did not vary enzyme’s response significantly. The combined effect of CaCl2 and MnCl2 on protease activity can be inferred from (Figure 2D). The surface plot does not have a considerable curvature, implying that the interaction between selected variables is not significant. This is also evident from the ANOVA table (Table 4) where the F-value of the interaction of these variables was found to be larger than 0.05. Thus the plots suggest that the variables elicit independent effects on the enzyme activity. Thermal fluctuations play an important role in the enzyme activity. It is obvious that increase in temperature increases the disorder in the amino acids’ side chain, if not the main chain of the protein. Consequently, the binding of the substrate to the enzyme decreases, thereby results in a decreased enzyme activity. Validation of the response surface model was performed with a random set of experiments (Table 5). The observed value of 98.2 U.mL-1 is closer to the predicted value of 95.0 U.mL-1, with the relative standard error percentage of the 3.3%. The above results confirm the adequacy of RSM for designing and optimizing the enzymatic process. The optimized condition obtained for the protease activity was as follows: temperature (43°C), pH (8.0), CaCl2 (8.2) and MnCl2 (4.3). The process resulted in a 1.5 fold (65.5 to 98.2 U.mL-1) increased enzymatic protease activity of the extracellular protease produced by Bacillus aquimaris VITP4 strain. This work is the first attempt for optimizing protease activity from halotolerant bacterium B.aquimaris VITP4 strain using response surface methodology. The storage stability of the extracellular protease produced by B. aquimaris VITP4 (Table 6) was evaluated under a range of conditions. Though not necessary, it was found that the activity displayed a linear relationship with the half life of the enzyme, with a linear regression value of 0.80 (Figure 3). The stability of the protease was found to be less at pH 6.0 and 10.0 (Table 6) when compared to pH 8.0. The protease shows a maximum half life of 267.2±18.4 min at temp 45°C, pH 8.0; Ca2+ (10 mM) and Mn2+ (5 mM), followed by 256.6±11.3 min at 45°C, pH 8.0, Ca2+ (10mM) and Mn2+ (15 mM) and 256.2±10.6 min at temp 45°C, pH 8.0, Ca2+ (20 mM) and Mn2+ (5 mM). Temperature of 45°C and pH 8.0 seems to be critical for the stability of the enzyme. As well, there could be seen variations in the half life as a function of the metal ions (Ca2+/Mn2+) concentrations. It needs to be mentioned that the half life of the enzyme (pH 8.0) is 202.4±10.2 min in the absence of both CaCl2 and MnCl2, which is statistically similar to the stability in the presence of 5 mM MnCl2. Metal ion dependent activity was observed for the protease was observed for the protease from B. laterosporus (19); protease from the moderately halo-alkali thermotolerant B.strain SH1 (20); halotolerant protease from B. cereus SIU1 (6) as well as alkaline protease from Bacillus circulans L (21). Earlier reports support the fact that Ca2+ plays an important role in protecting the enzyme from auto proteolysis. Also depletion of Ca2+ lowers the specific activity and the thermal stability of the enzyme (22). High b-sheet content was reported for serine protease isolated from halophilic Virgibacillus and the b-sheet content was reduced in the absence of NaCl which in turn resulted in a poor activity (23). There are numerous literatures available on optimization of the protease production using RSM (24-26). Optimization of the activity by RSM is a time and material saving, efficient method, and yields a better understanding of the interactions among the variables. There are few reports in the literature in which RSM was successfully employed for optimization of the enzyme activity and consequently have achieved the highest product formation. Badoei-Dalfard et al. 2013 (7) have reported a 2.5 fold increase in protease activity by Bacillus sp. JER02 with statistical optimization by RSM. The RSM was also employed for optimizing conditions for enzymatic hydrolysis of the blood cells wherein a 40.46 times increase in the production of the free amino acids was achieved (27). Using a two-step response surface methodology (RSM), the condition for an optimum keratinase activity was optimized (28). The method was also used for optimizing hydrolysis conditions of the cockle (Anadara granosa) using Alcalase (29). The presence of the divalent calcium ion has been found to enhance the secretion of the protease in the production medium (30). 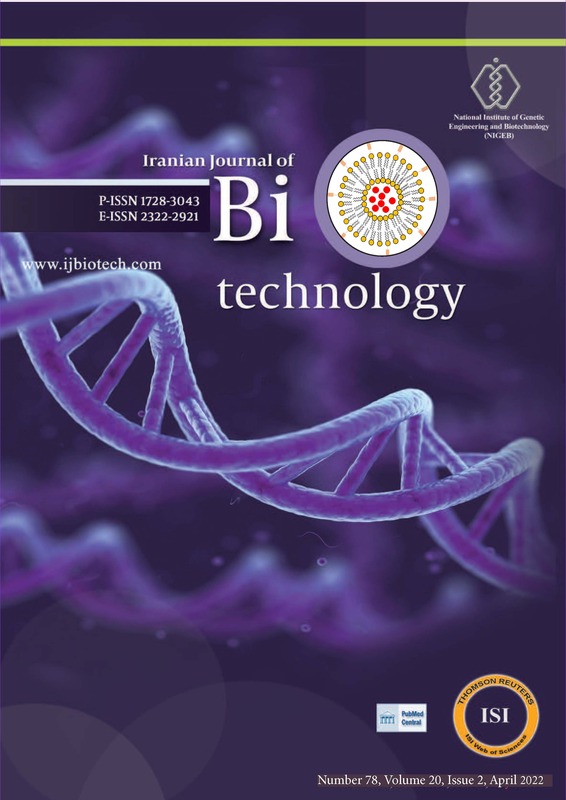 In a few cases, the medium containing natural substrates such as fish-based medium (31) or vegetable wastes (32) have also been considered for optimizing production of the proteases. The production/activity of the most of these serine proteases was found to be dependent on the concentration of the divalent calcium ions. It is desirous that the biocatalysts need to have adequate storage as well as operational process, operational stability, so that their applicability at a high temperature, extreme pH, compatibility with organic solvent, and detergent can find suitable application in therapeutics, diagnostics, peptide synthesis, detergent formulations (33, 34). Crude preparations are generally more stable than the purified enzymes. Therefore storage requirements of the purified enzymes are of the prime concern to enzyme manufacturers (35). Majority of the proteins exhibit decreased stability when are not in their native environment. Such loss in the activity is envisaged to be the result of the proteolysis and aggregation. However, the activity can be maintained if buffers are supplemented with the metal ions that generally increase their stability and therefore their shelf life. The methyl aminopeptidase from Pyrolobus furiosus was reported to have a decreased stability at low pH values due to the protonation of the acidic residues which will invariably disrupt the favorable ionic interactions (36). A change in pH value apart from the optimum pH can protonate or deprotonate a side group, thereby a change in the activity or stability of an enzyme results because of a change in its chemical features. Alkaline serine protease from B. amyloliquefaciens S94 has found to exhibit the optimum activity at pH 8.0, but show a lower activity at both low and high pH values, as well, to retain only 63% of the activity at pH 11, but do not show any activity at pH 12.0 (37). Recently, the thermal stability of an alkaline protease from halotolerant Bacillus sp. strain NPST-AK15 was shown to increase by two folds in the presence of calcium ions (38, 39). There are reports indicating an increase in the half life of an enzyme through supplementation of different metal ions. The protease from Bacillus cereus WQ9-2 was seen to have a half life of 11 min at 60°C which increases to 360 min in the presence of 10 mM Ca2+. Addition of Ca2+ or Mn2+ have resulted in the stability of EA.1 proteinase over 75 min at 80°C (40). Alkaline protease from Bacillus brevis 6 was found to be stable for 288 h when incubated at 25°C, but displayed half lives of 6 and 7 h at 50 and 60°C. In addition to this, the thermostability of the enzyme was found to increase in the presence of Ca2+ and Na2+ (41). The alkaline protease from B. clausii I-52 showed a half life of 150 h, 6.5 h, 1.5 h and 0.6 h at 45, 50, 55 and 60°C, respectively. The presence of Ca2+ has increased the half life of 20 min at 50°C to 26 min for subtilisin (42). The above literatures support the fact that increased stability of the enzyme can be achieved upon supplementation of the required metal ions. Proteases, in general, are activated by Ca2+ ions; few of which are modulated by Mn2+. Though the enzyme is active under saline conditions, the activity was not perturbed significantly in the presence of NaCl. The enzyme was found to display maximum activity of 98.2±2.2 U.mL-1 at 43°C, pH 8.0, 8.2 mM CaCl2, and 4.3 mM MnCl2. The statistical optimization by RSM resulted in 1.5 fold increase in the protease activity by Bacillus aquimaris VITP4 strain. The enzyme showed a maximum half life of 267±18 min when incubated at 45°C at pH 8.0 along with CaCl2 (10 mM) and MnCl2 (5 mM). The properties of the protease unraveled in the present study would contribute to its utility in many industrial processes. The authors confirm that his article content has no conflict of interest. C. Jabeena Thaz is a recipient of UGC-MAN Fellowship (201011-MANF-MUS-AND-1551) and B. Lavanya is a recipient of UGC-CSIR Fellowship (09/844(0010)/2012 EMR-I). The research facility provided by the VIT University (Vellore, India) is gratefully acknowledged.